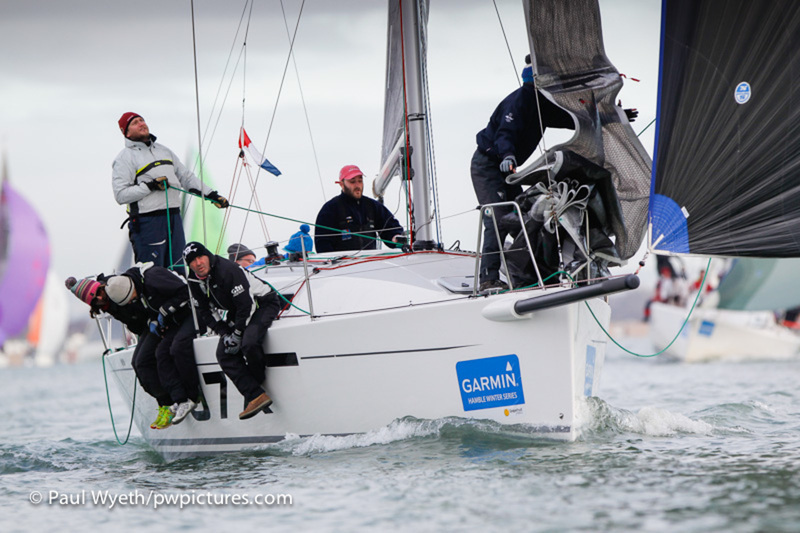 As the 2016 Garmin Hamble Winter Series nears its conclusion, winter has finally made an appearance. 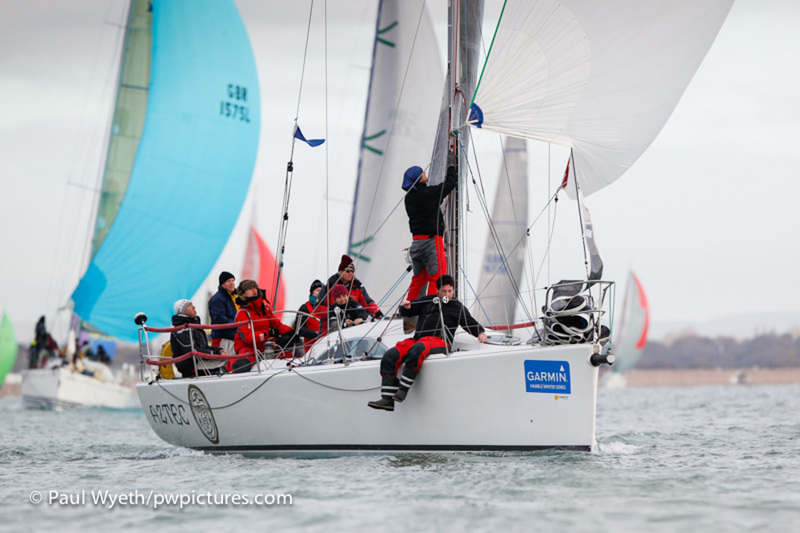 Last weekend, racing was cancelled amid 35 knot gusts, and this week a changeable forecast ushered in light winds, winter sunshine and very cold temperatures. 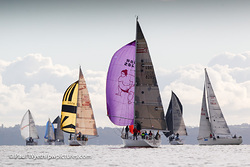 Nonetheless, the race team, headed by Kathy Smalley, got all classes away after a short postponement. 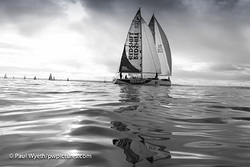 Their task was a tricky one, with a big right shift forecast, a strong tide running across the race course, and a patchy breeze. 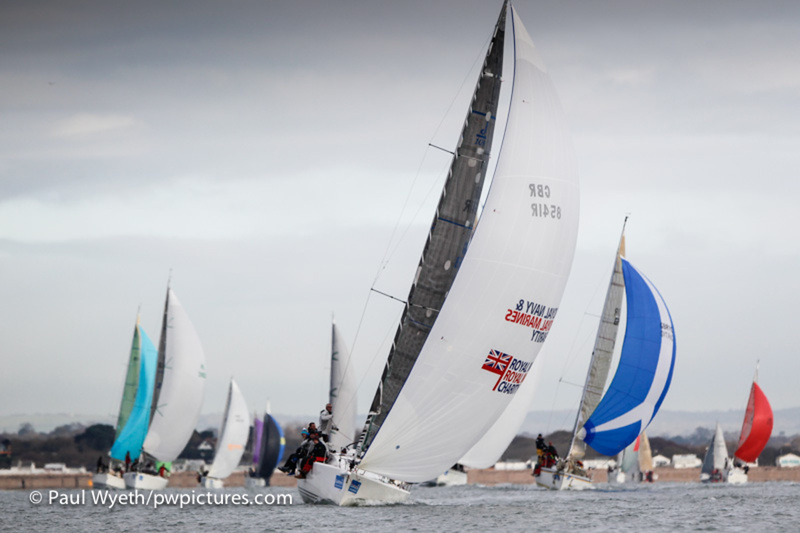 These conditions turned most fleets on their heads, with many of the overall leaders scoring their worst results yet as discards, and others taking advantage of the windshifts to make big gains both on the water and overall. 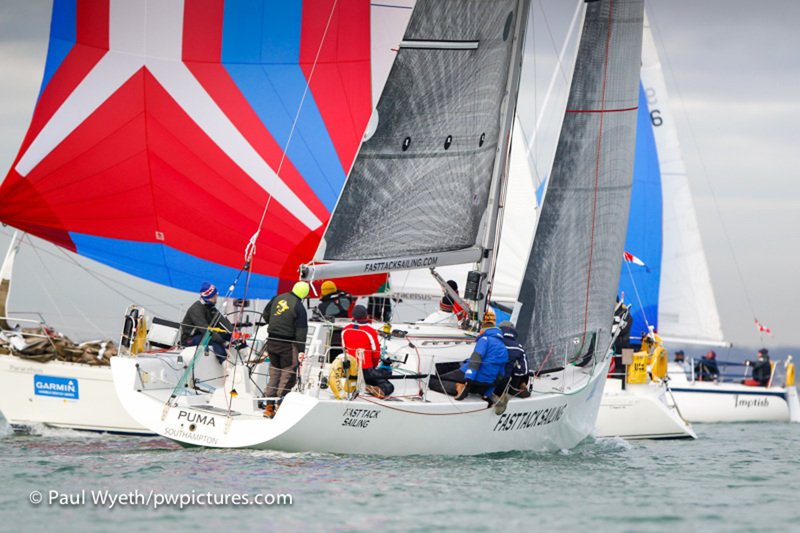 In IRC 0, it was Christopher Daniel's Juno that won the race, under a minute ahead of class leader, Cornel Riklin's Jitterbug. 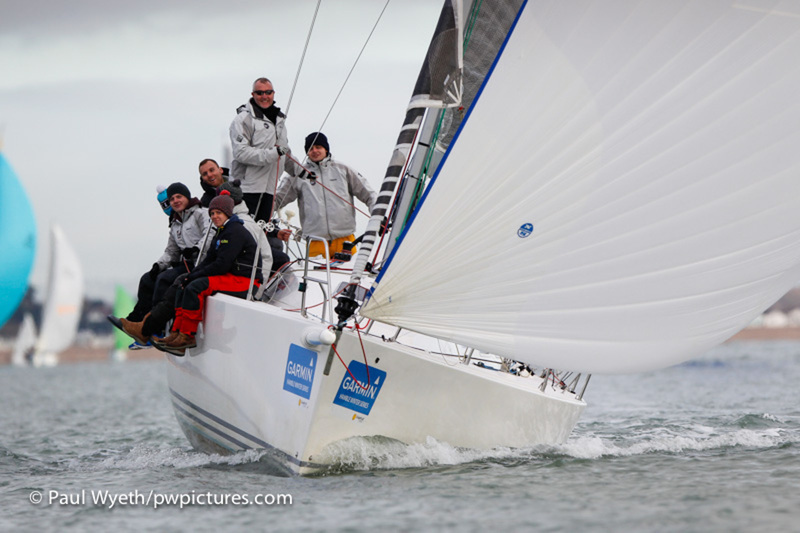 In IRC1, Philip Farrands' Old Mother Gun beat overall leader, James Wilkie's Fast Tack Puma into second, which narrows the overall points gap to two points with one race to go – anything could happen, especially if the conditions are as shifty as they were this week! 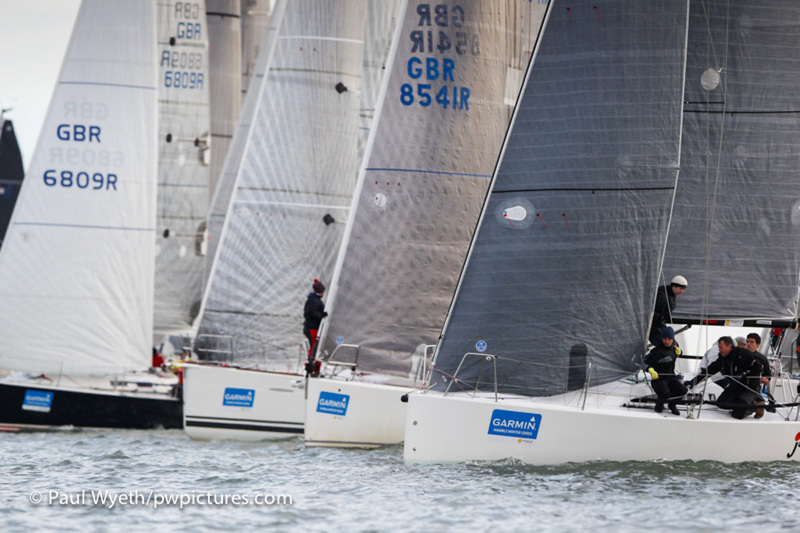 A trio of J/88s topped IRC 2, with Gavin Howe's Tigris winning the class, ahead of Richard Cooper's Jongleur in second and Paul Ward's Eat Sleep J Repeat in third. 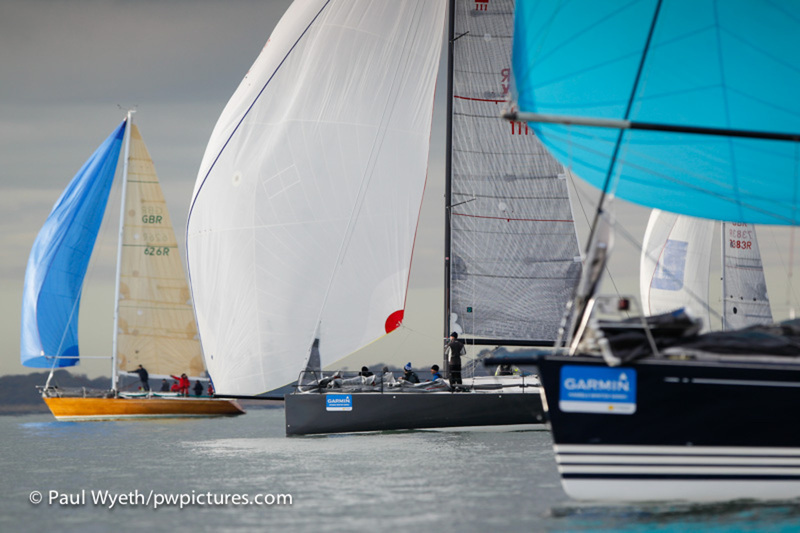 A number of close battles are lining up for the final race next weekend in this class, with a number of boats only a point apart throughout the fleet. 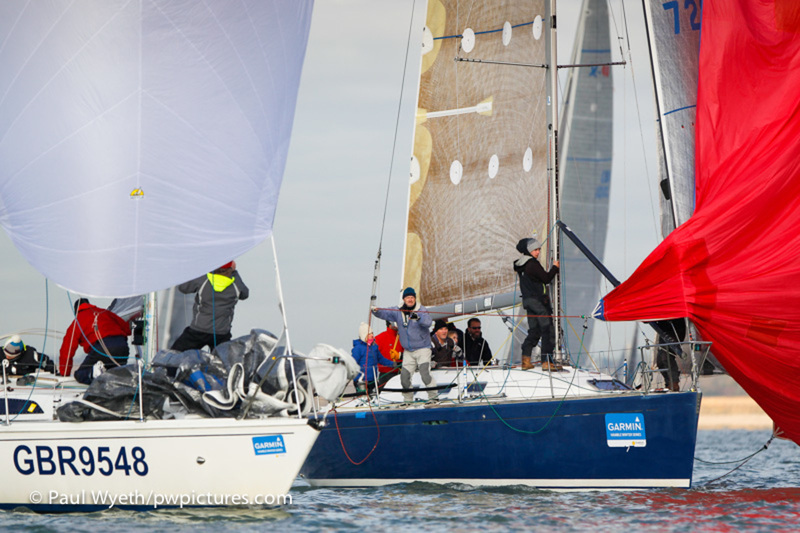 IRC 3 saw Simon Miller's Hooligan win the race, ahead of Robin Stevenson's Upstart and overall leader, Annie Kelly and Andy Howe's Blackjack II in third. 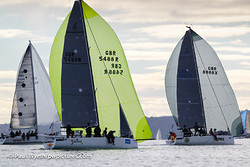 The J/109s, also racing in IRC 3, were topped by Simon Perry's Jiraffe, with Roger Phillips' Designstar 2 in second place, reflecting the overall standings. 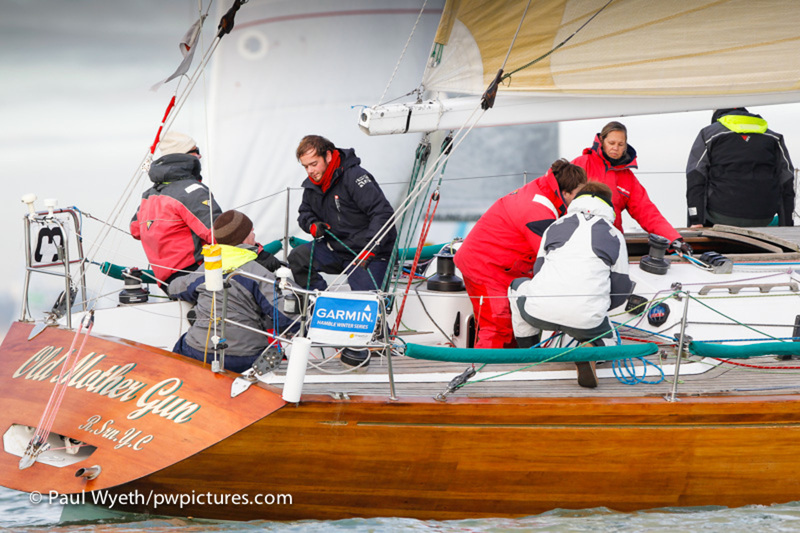 The Sigma 38s were won by Nigel Goodhew's Persephone, ahead of Richard Kern's Light and Rob Lee's Kindred Spirit. 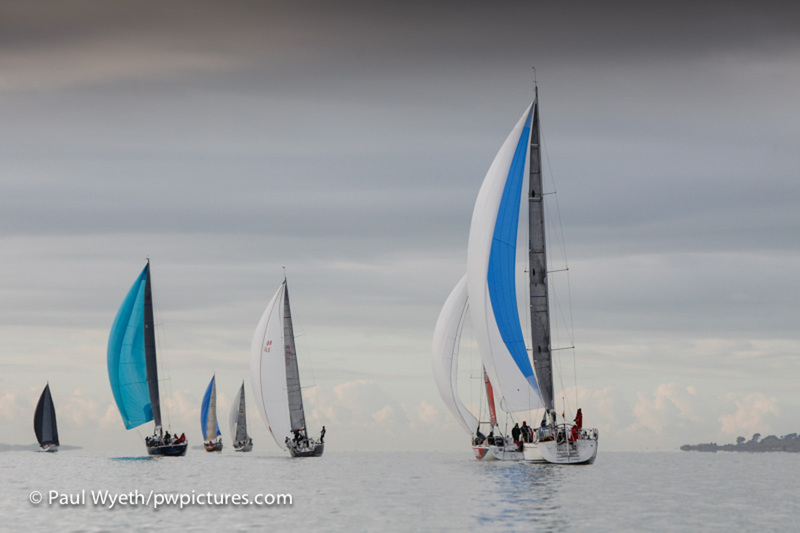 In IRC4 it was Bernard Fyans' Erik the Red that spotted the shift on the first beat and held an unassailable lead to the finish. 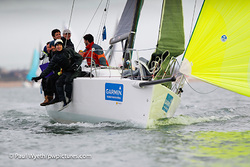 Barney Smith's Impala 28 Imptish was close behind, with fellow Impala Two Frank finishing third. 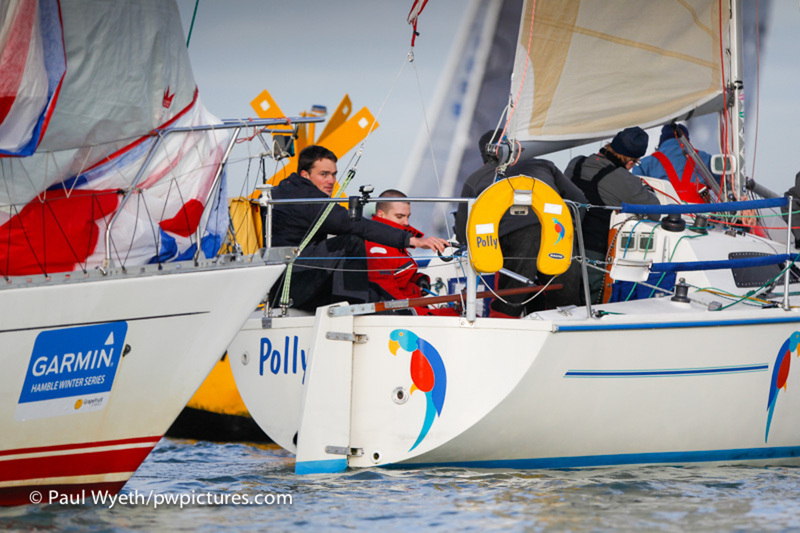 Overall leader Stan the Boat was fourth, and sits two points ahead of second placed Polly – leading to a close battle next weekend. These two Impalas were joined on the Impala podium by Nigel Palmer and crew on Uproar, which was the third Impala this week. 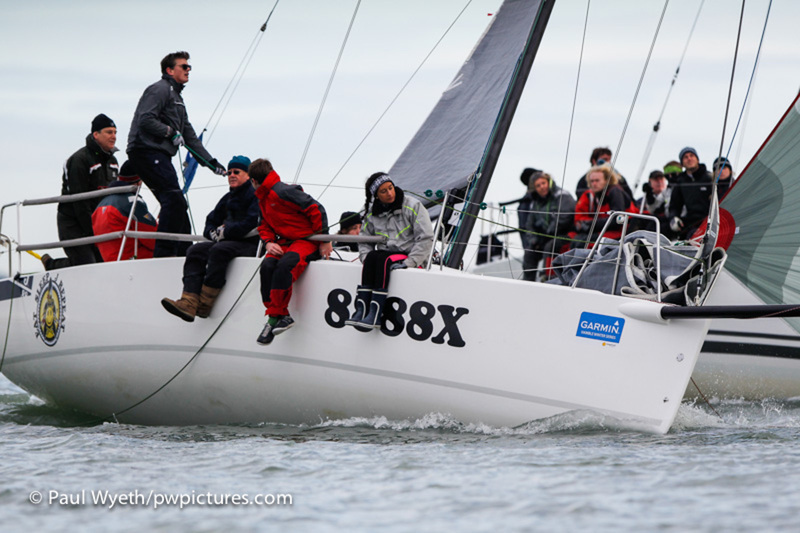 Day sponsor One Sails handed out prizes at the HRSC clubhouse after racing, where competitors warmed up after what felt like the first real day of winter they've seen in the series so far. 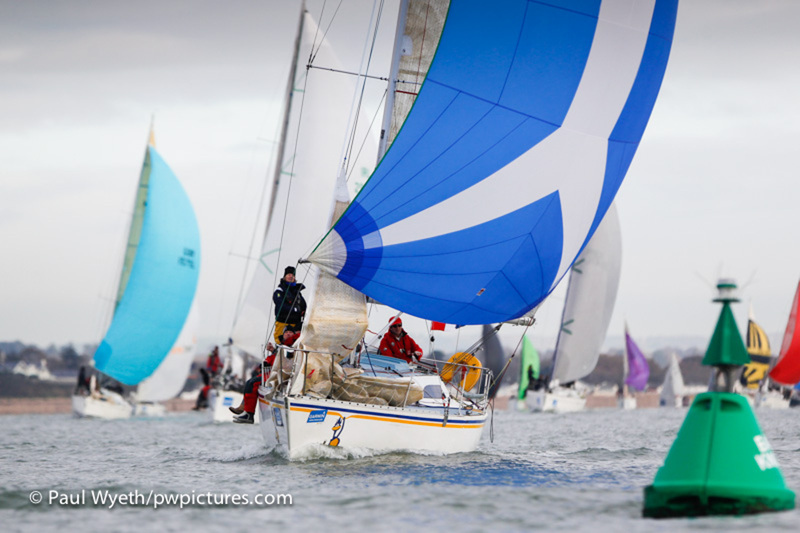 Next week sees the final race of the 2016 Garmin Hamble Winter Series, and should see some close racing to determine the final results of what has been a competitive event.